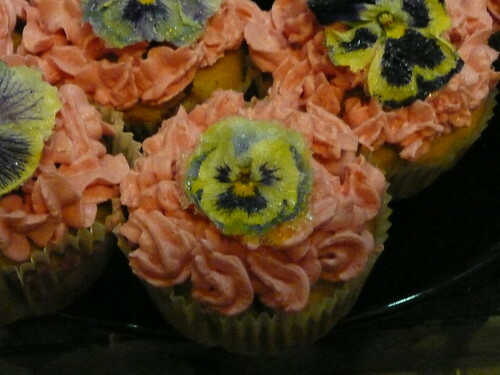 Cupcakes decorated with REAL flowers! 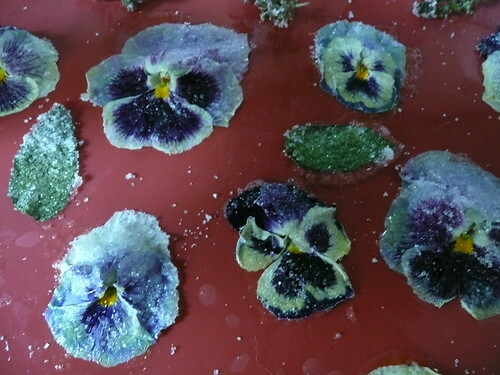 Though our summer in Berlin was a bit rough, spring was beautiful, and early on I got a LOT of pansies in my garden. 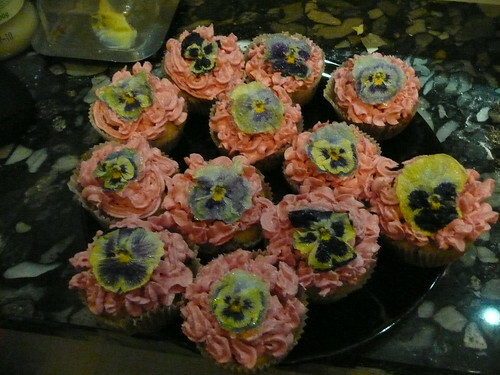 Whenever I have that many flowers, I always feel I have to do something with them. 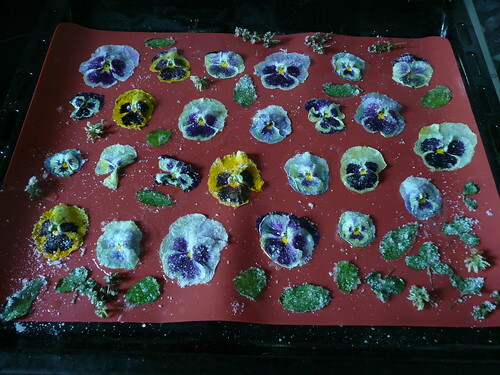 I had already pressed a few, and eaten a lot of salads garnished with flowers (pansies are edible and quite tasty), but I figured there was something else I could do with these edible flowers. 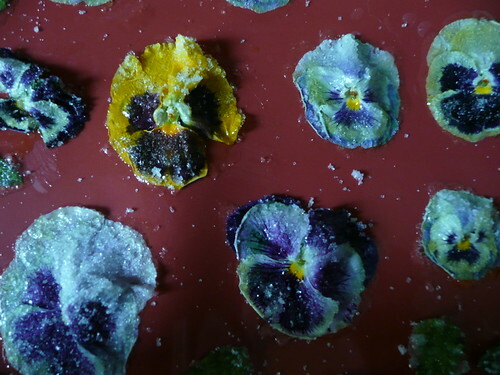 I stumbled upon (literally…I love StumbleUpon) a handy tutorial on using candied edible flowers in baking, and voila! 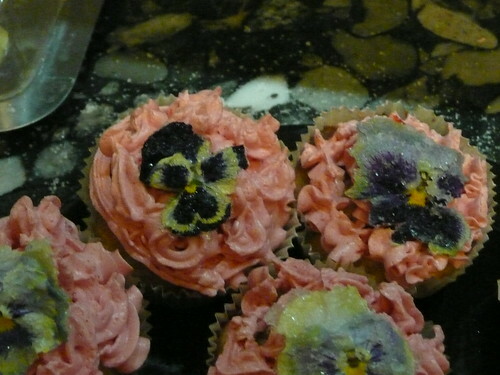 I came up with cupcakes with lovely floral (and edible) decorations! 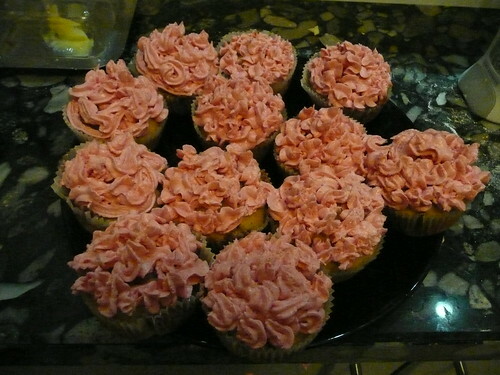 The cupcakes themselves were flavoured with strawberries and fresh mint, and the icing is strawberry butter cream. For icing I just used a basic butter cream, and threw in some blended strawberries and a bit of vanilla!